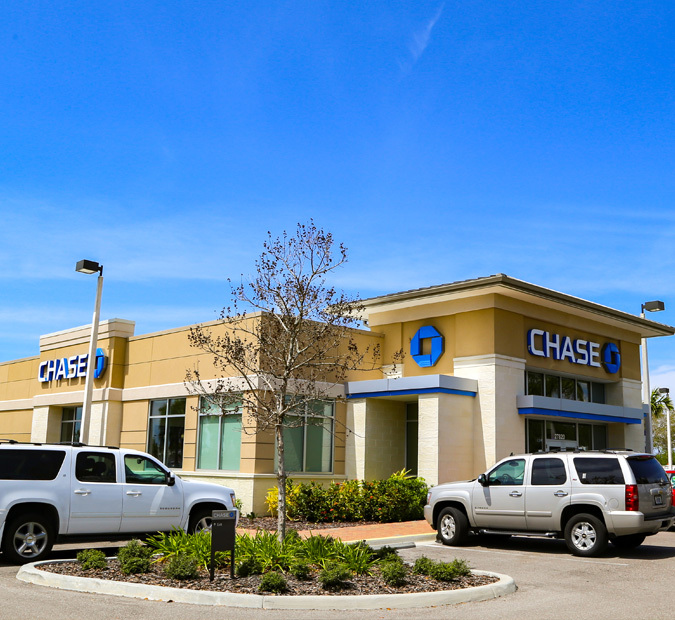 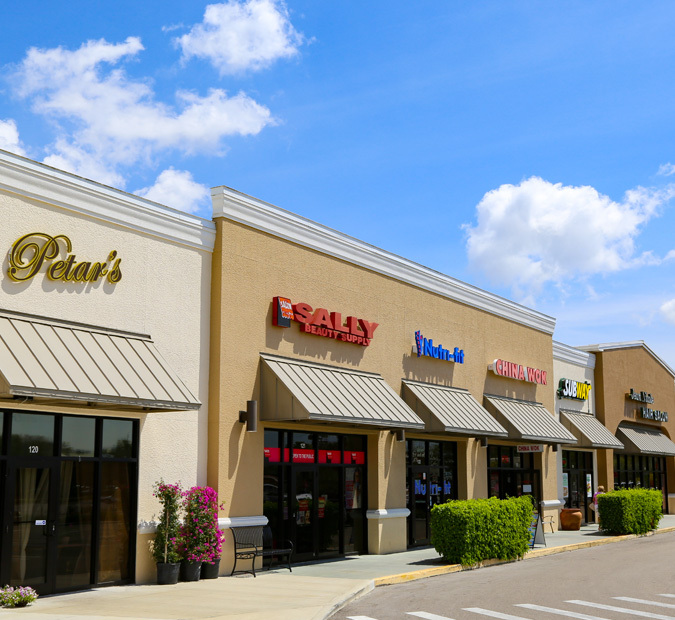 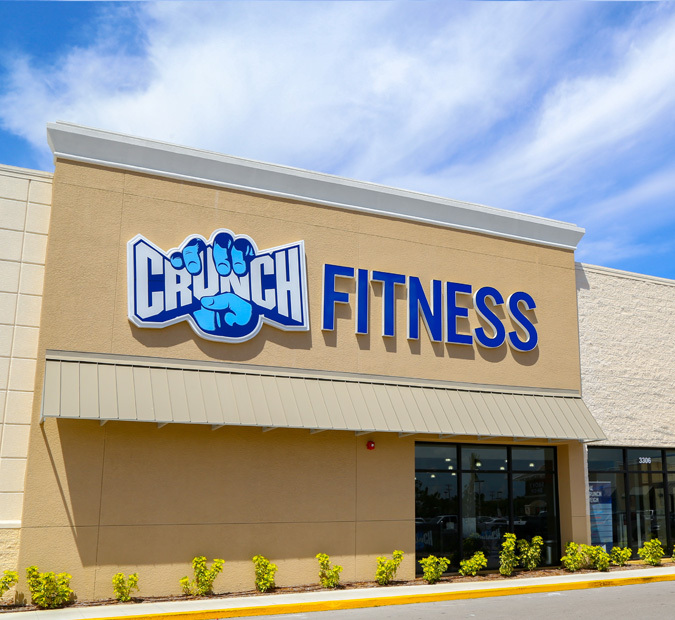 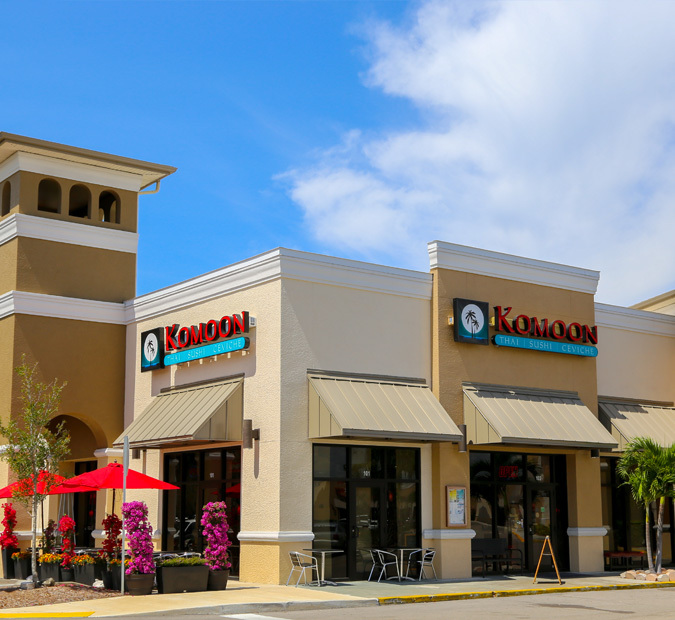 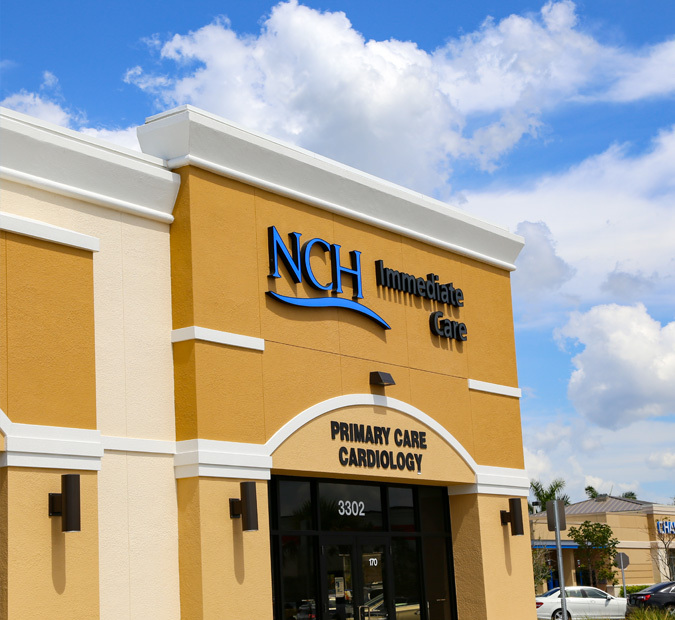 The Center of Bonita Springs is a recently redeveloped community center with a strong mix of retail stores, restaurants, and personal services tenants. 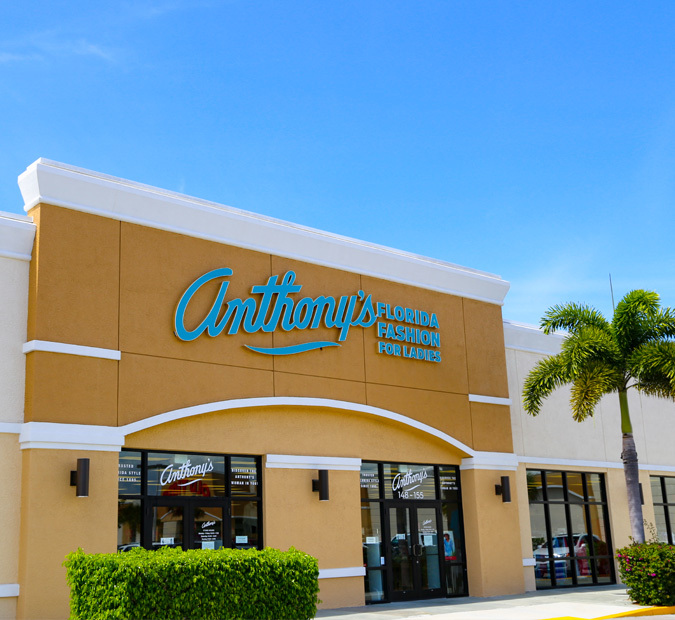 Anchored by Publix's busiest store in the Bonita Springs trade area, the.. 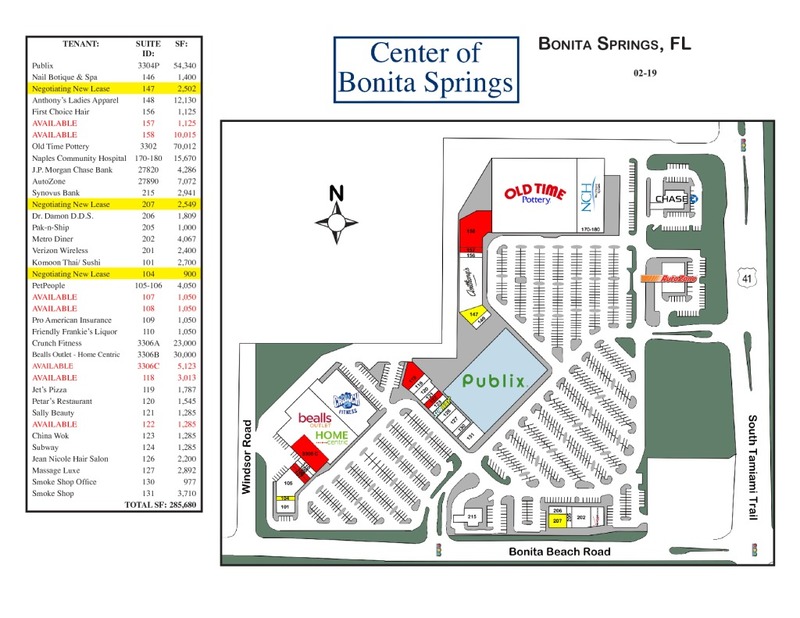 The Center of Bonita Springs is a recently redeveloped community center with a strong mix of retail stores, restaurants, and personal services tenants. 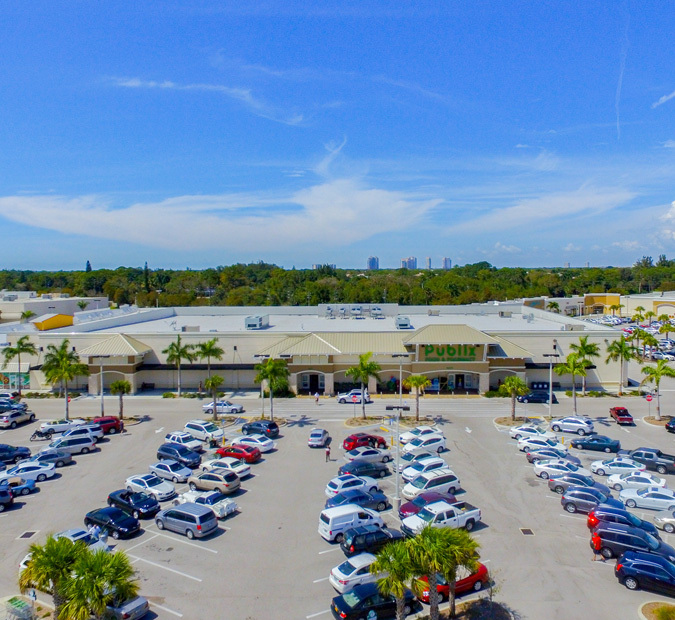 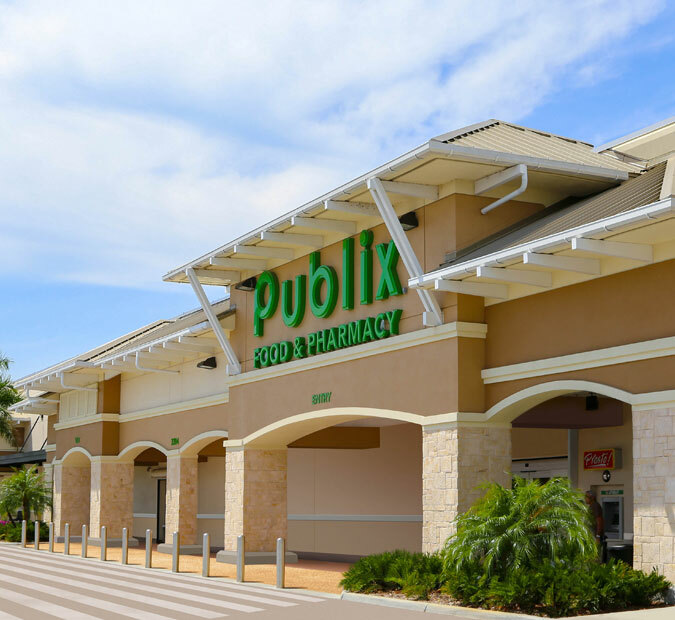 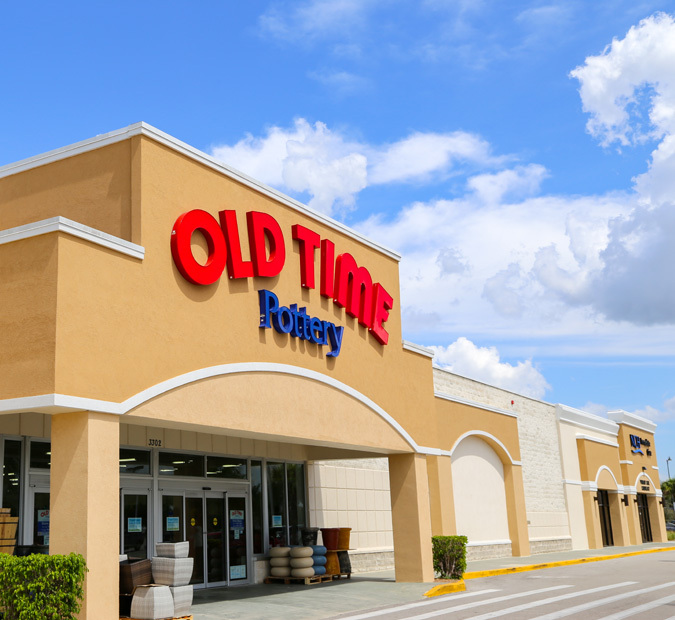 Anchored by Publix's busiest store in the Bonita Springs trade area, the center is strategically located at one of the area’s most heavily-traveled intersections minutes from beautiful beaches along the gulf waters.